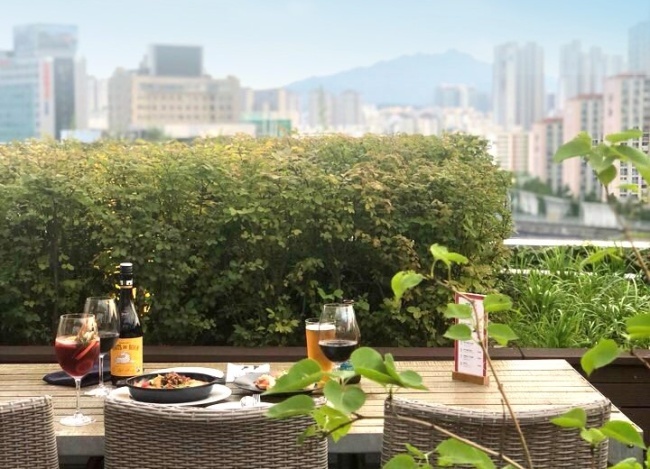 Hotel La Casa, a lifestyle design hotel in south central Seoul, is offering its “Rooftop Summer Night” package. The package includes a one-night stay in a double room, two bottles of Schneider Weisse Tap 7 beer and a four-piece bruschetta plate. Customers can sip on cool beer while enjoying the city lights on a hot summer night on the rooftop of lounge bar House of Alchemy. The package is available until Sept. 9. For more information, contact House of Alchemy at (02) 6190-0909. 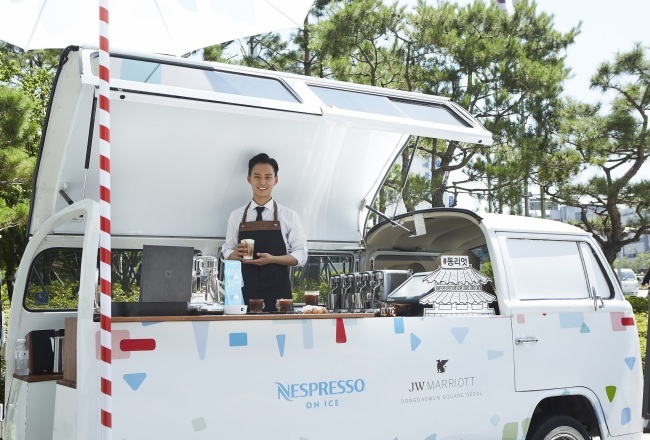 If you want freshly brewed coffee, look out for a pop-up truck in front of JW Marriott Dongdaemun Square. The hotel, in conjunction with Nespresso, is running a pop-up truck cafe. The pop-up event will showcase various drinks, including Ice Cafe Shakerato, Ice Cafe Alla Salentina, Cafe Shaker and Floating Orange, Espresso on Vodka, Ice Cafe Mocha and Ice Milk Tea Macchiato. The truck is open from noon to 6 p.m. through the end of August. For more information, contact The Lounge at (02) 2276-3336. 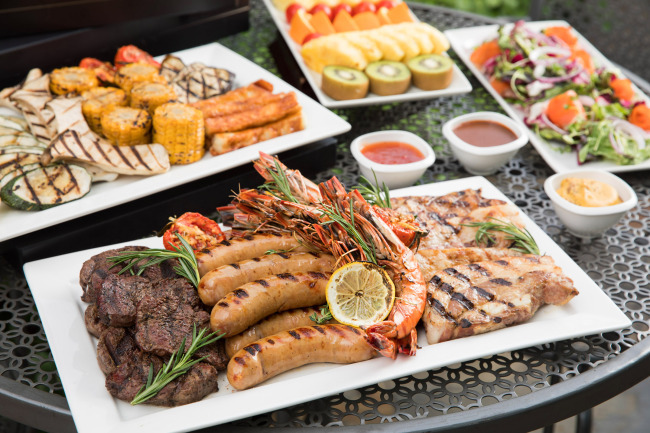 Sheraton Seoul D Cube City Hotel is promoting a barbecue-in-a-box deal for those who want to grill in a more convenient way at an outdoor party or camping event. Essential barbecue foods will be served. All of the items will be hand-picked, premarinated and packaged by the chefs at the hotel. The set, serving up to five people, costs 190,000 won. It is available for pickup at the Feast restaurant, or can be delivered for an additional free. For reservations and inquiries, call (02) 2211-1710. 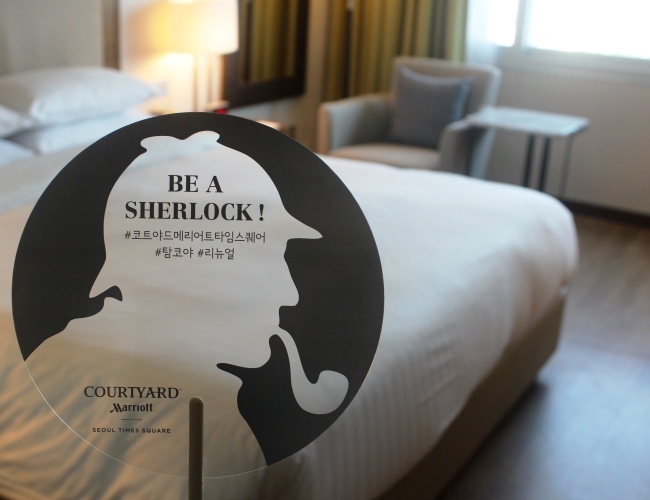 Courtyard Marriott Seoul Times Square Hotel is presenting a “Be a Sherlock” package to celebrate the end of its extensive seven-month renovation. This unique package requires customers to participate and find certain locations in the hotel like a detective. It includes one night in a deluxe room, Momo Bar’s summer bingsu or a Kushikatsu beer set. A fan, printed with a design of a magnifying glass, will be gifted as well. The Be a Sherlock package is available until the end of August with prices starting at 150,000 won. For reservations, call (02) 2638-3110. Vista Walkerhill Seoul is offering the “Wellness Holiday with Family” package for guests seeking a revitalizing summer getaway. After a night’s stay at the hotel, guests are invited to participate in a yoga class at the outdoor botanical garden Skyard. A nutritional dinner and breakfast for two are included in the package. Admission to the hotel’s outdoor swimming pool Walkerhill Riverpark is included. At an extra cost of 50,000 won per person, guests can enjoy a poolside buffet as well. The package is available from Monday to Thursday until the end of August. The package starts at 810,000 won. For more information, call (02) 2022-0450.